“The Tale of the Princess Kaguya” is among eight nominees for best animated feature for the 42nd annual Annie Awards, which honor achievement in animated films. The International Animated Film Society will present the awards on Jan. 31 at UCLA’s Royce Hall. 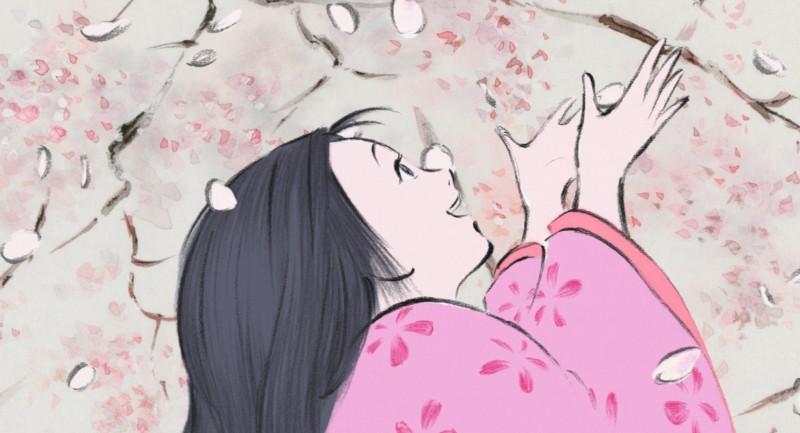 Directed by Isao Takahata, produced by Studio Ghibli and distributed in the U.S. by GKIDS, “The Tale of the Princess Kaguya” is based on the Japanese folktale about a woodcutter who finds a baby inside a bamboo stalk. The baby rapidly grows into an adult and turns out to be a princess from the moon. Walt Disney Animation Studios’ “Big Hero 6,” which features a hero named Hiro Hamada and takes place in San Fransokyo — a mashup of San Francisco and Tokyo — was nominated in seven categories, including best feature. Also nominated for best feature were “Cheatin’” (Plymptoons Studio), “How to Train Your Dragon 2” (DreamWorks Animation), “Song of the Sea”(GKIDS/Cartoon Saloon), “The Book of Life” (Reel FX), “The Boxtrolls” (Focus Features/Laika), and “The LEGO Movie” (Warner Bros. Pictures). Takahata was nominated for outstanding achievement for directing in an animated feature production, along with Don Hall and Chris Williams (“Big Hero 6”), Bill Plympton (“Cheatin’”), Dean DeBlois (“How to Train Your Dragon 2”), Tomm Moore (“Song of the Sea”), Jorge R. Gutierrez (“The Book of Life”), Anthony Stacchi and Graham Annable (“The Boxtrolls”), and Phil Lord, Christopher Miller and Chris McKay (“The Lego Movie”). Joe Hisaishi, who composed the score for “The Tale of the Princess Kaguya,” was nominated for outstanding achievement for music in an animated feature production along with Nicole Renaud (Cheatin”’), John and Jónsi Powell (“How to Train Your Dragon 2”), Danny Elfman (“Mr. Peabody & Sherman”), and Bruno and Kila Coulais (“Song of the Sea”). For a complete list of nominees, visit http://annieawards.org.